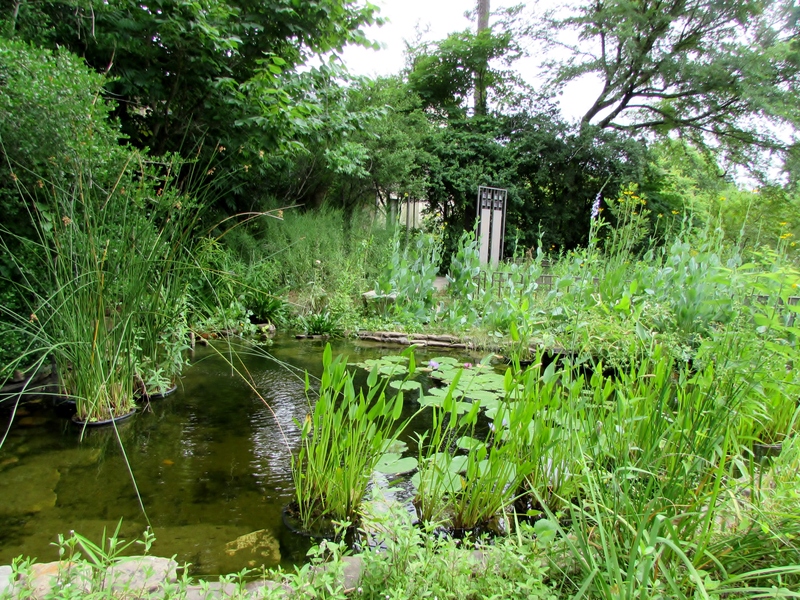 Brenda Pennington and Thomas Collins of Urban Gardeners are the brains and brawn behind this wildlife habitat tucked into the middle of River Oaks. This property was an empty lot until 2001. 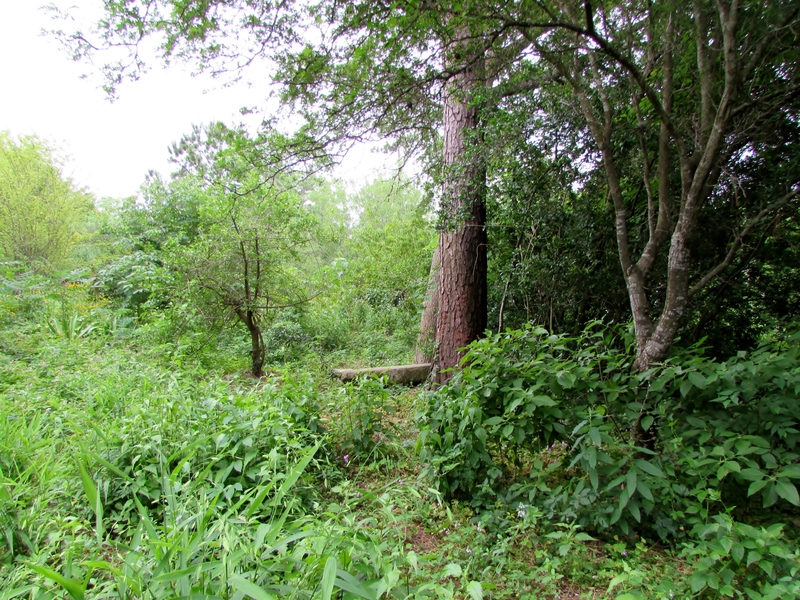 The owners wanted to keep much of the exiting vegetation and create a wildlife sanctuary. May 9th the Height Garden club did their monthly tour and Brenda was our guide and Thomas was keeping us together and if you held back you could ask him questions too. 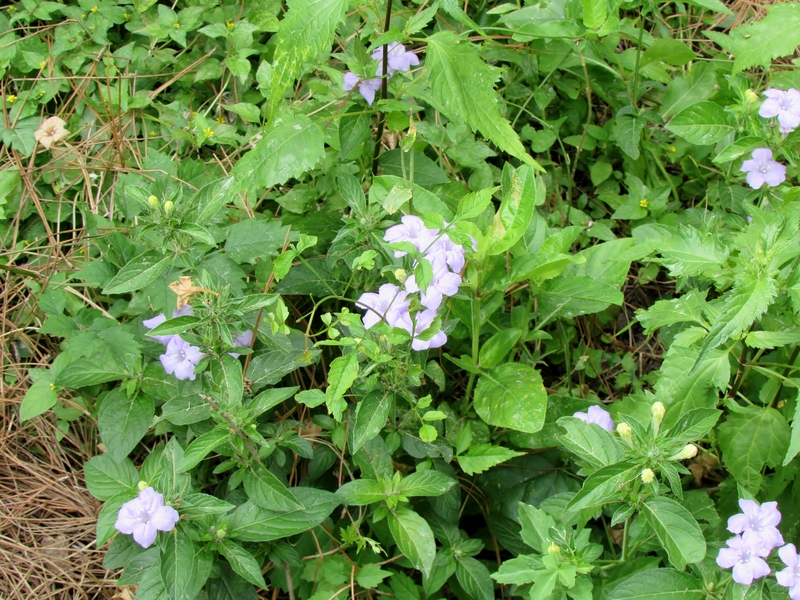 The 2 acre property is a wealth of native plants. 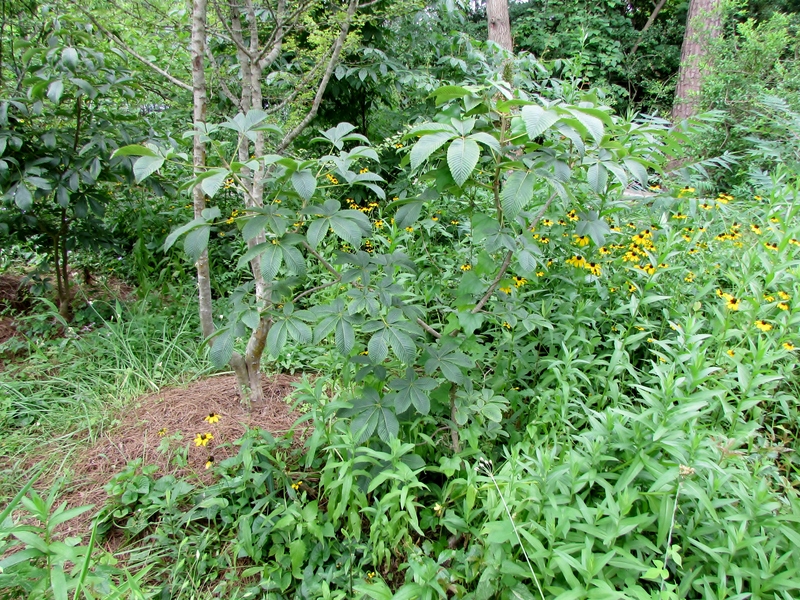 The process to create it was part editing, thinning and clearing, especially of invasive plant species. Thomas and Brenda each have their own specialty in their business partnership. Thomas does the lay out, the path, pond, fences and other hardscaping. Brenda knows the plants. The have been working on this garden since the beginning. The back of the property is still much as they found it. The architects were responsible for the stone house and driveway and the gardeners did the rest. The front face on Inwood Drive is 350 feet. Brenda is not fond of crape myrtles, azalea and ligustrum which are the backbone of many gardens in River Oaks. She did say this is a very high maintenance garden and it takes 3 people to keep up with it. She collected a high number of these plants. It has been a trial and error evolution. 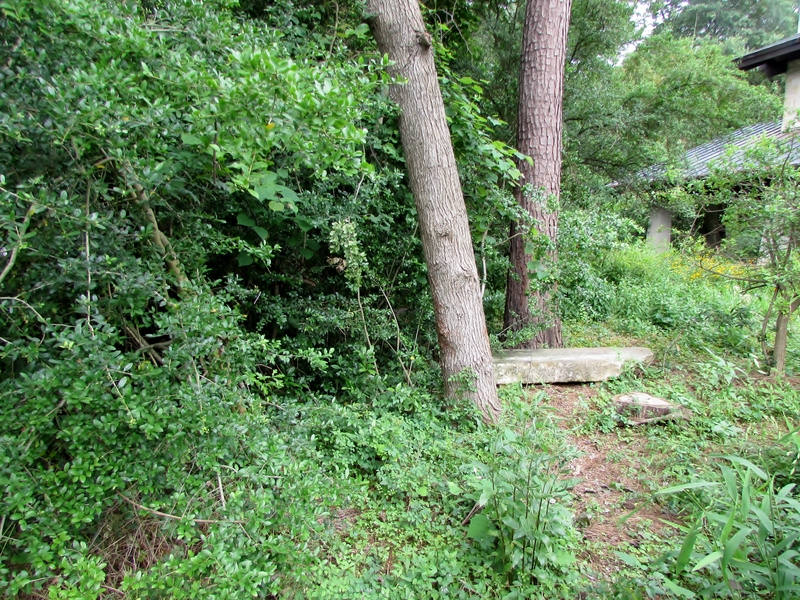 Brenda found that not all the native plant worked in this space. 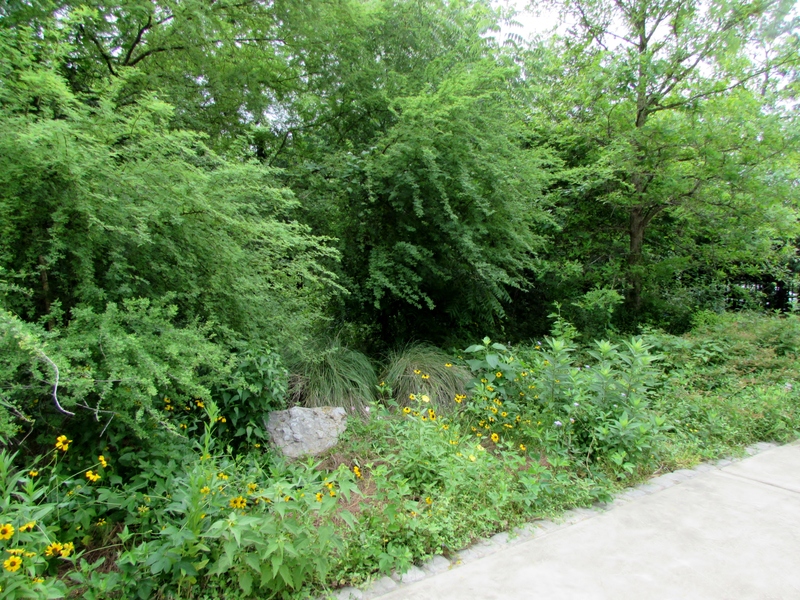 She used resources like the Native Plant Society of Texas NPSOT and prairie rescue groups, like the Native Prairies Association of Texas, in the process of creating the different areas like the prairie meadow and the banks of the pond and stream bed. Identifying the right mix of plants to create these little ecosystem has been a learning experience. Finding out along the way that just as Texas is a big state ‘Texas natives’ is a big group but many only grow in little micro climate areas in our big state. 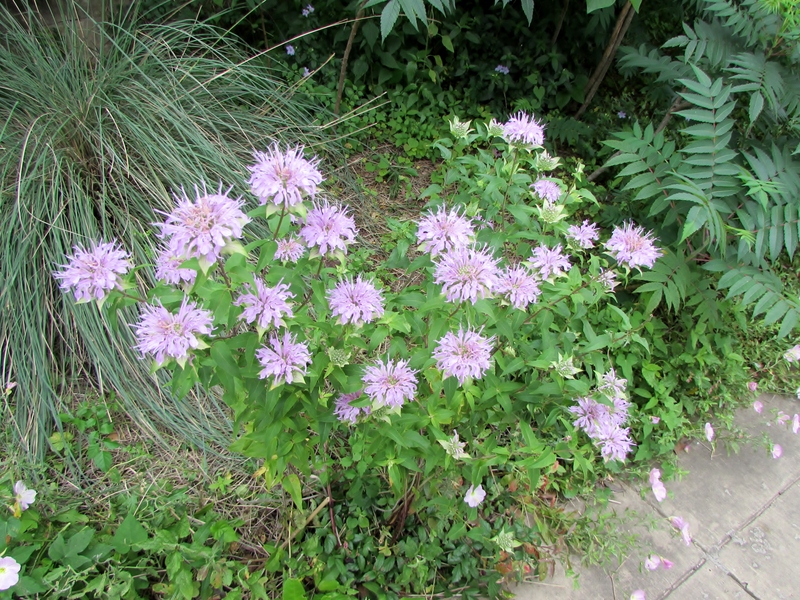 Native plants can also be thugs built to propagate. Initially they went to places like the valley down by the border but they found that many of these plants could not adapt to our rainfall which is about 22 inches more than Brownsville. You catch just a glimpse of the front wall of the house in this photo. 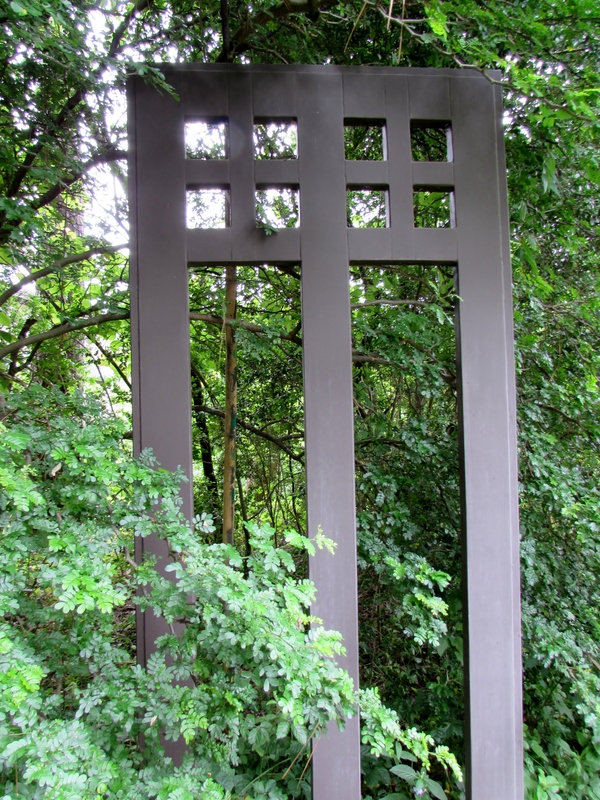 Tall metal sculptures mark the converging of 3 paths that wind through the front garden and around the pond to the side and back. Below is a fence designed and built by Thomas. The prairie area is fenced off from the dogs. It was full of little wildflowers for our visit. 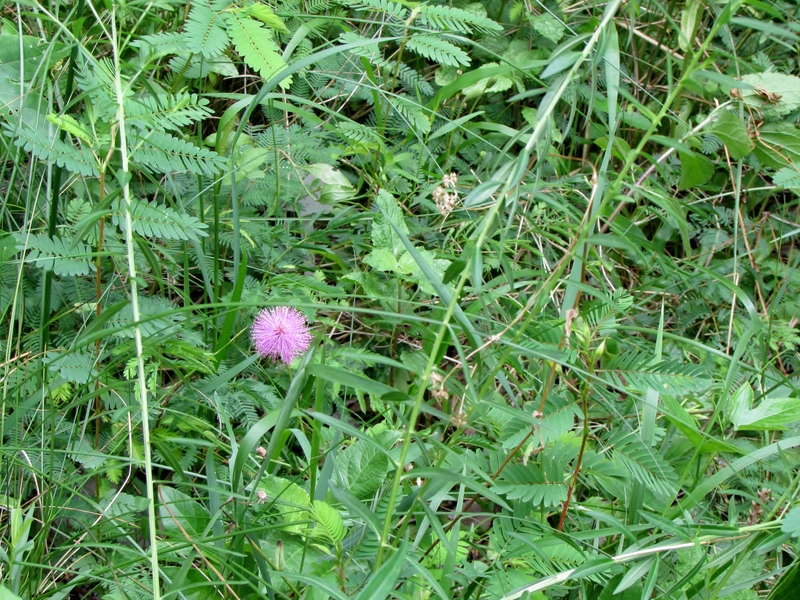 Houston is part of the Tall Grass prairie. We saw Indian grass, little Bluestem mixed in with Ground Mimosa, Winecups, Prairie verbena, Cherokee sedge just to name a few. 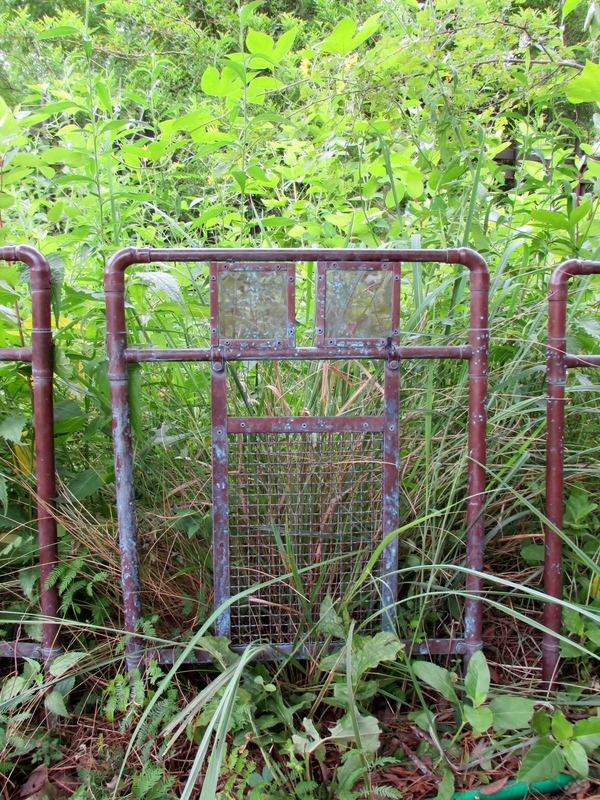 The metal is a fine complement to the wildflowers. 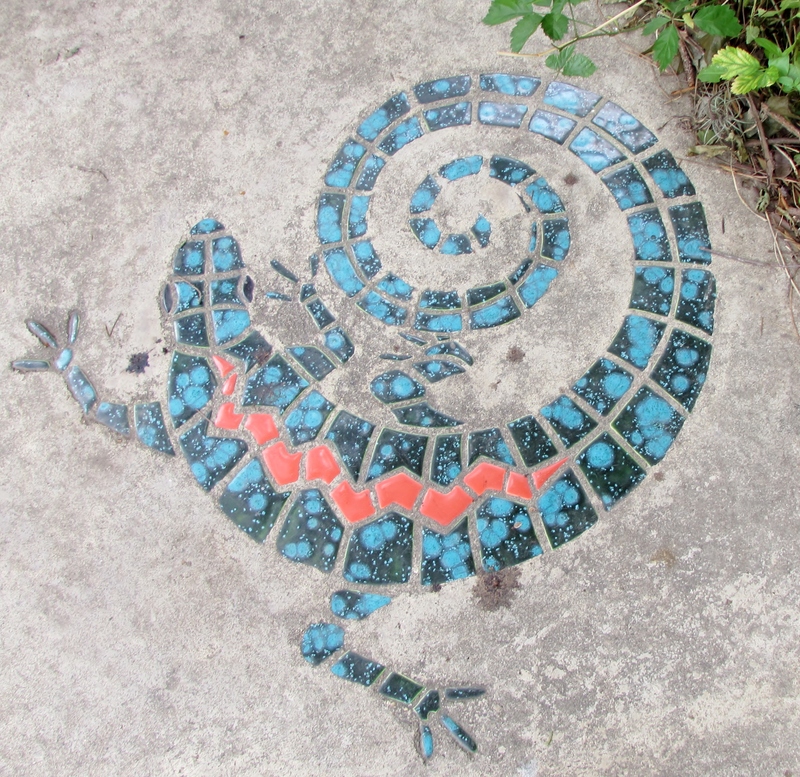 We came across wonderful art details reminding us we are really in someone’s garden. You will find only one open grass area and there they used Buffalo grass. 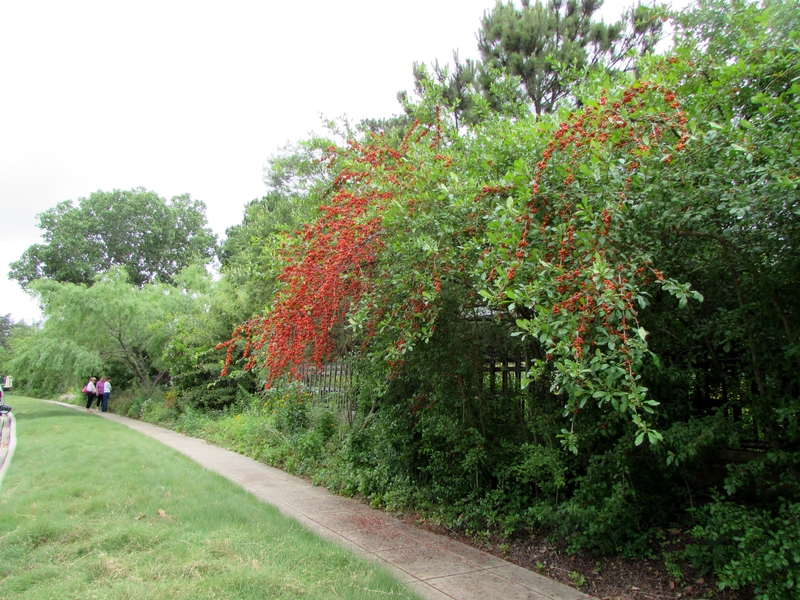 The entire right of way is also planted in Buffalo grass mixed with other little creeping plants. 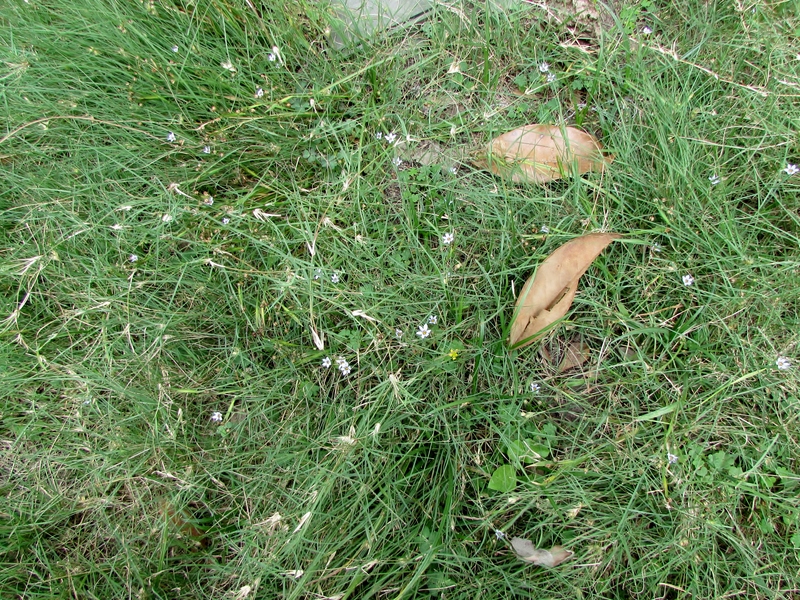 Brenda pointed out that in nature grass doesn’t grow as a mono culture. Up close of the grass in the right of way. 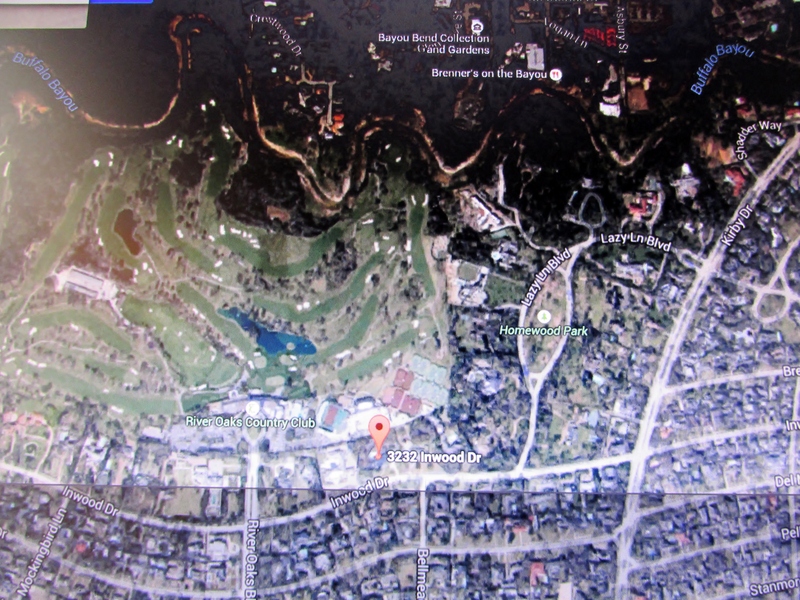 The only thing between the property and Buffalo bayou is the country club. Unfortunately a few years ago they located a 3 story parking structure right behind the property cutting off access for wildlife to and from the bayou. They estimate this cut their wildlife count by 50%. They still have plenty of lizards, Red ear slider turtles, Leopard frogs, green tree frogs and some Eastern Narrow Mouth toads. 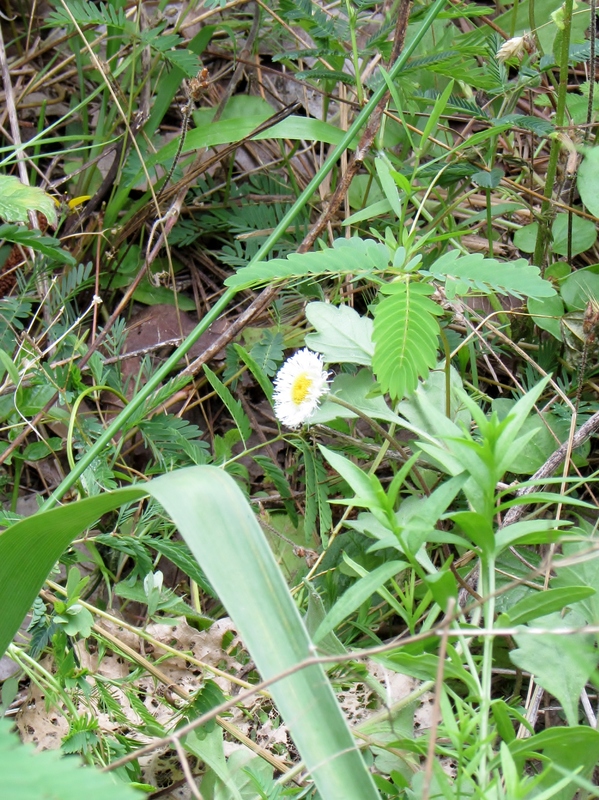 They get possums, armadillos and that morning someone saw a Ribbon snake near the stream. They did a great job of making this look like a real stream. 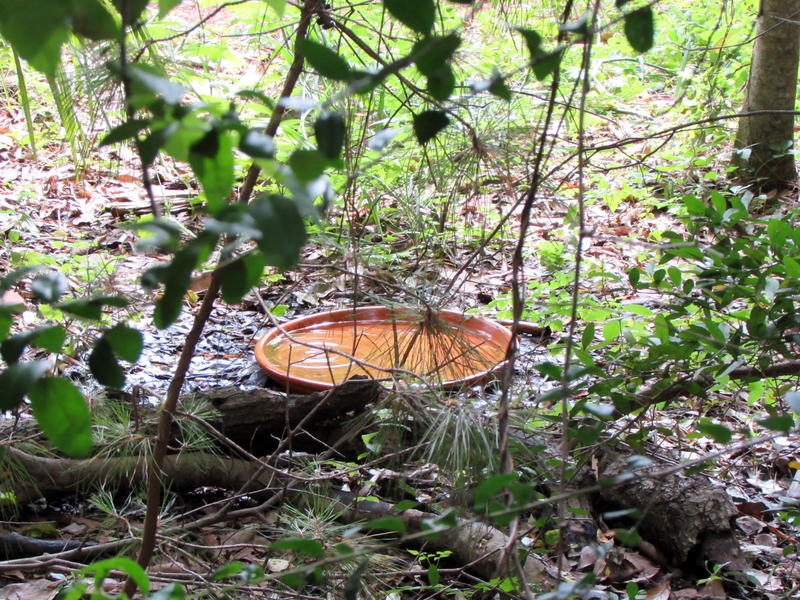 There are other water sources for wildlife through out the property like this orange dish positioned under a dripping hose. The tall canopy of trees support large birds like hawks and owls. Over 70 species of birds have been spotted here. There is a honey bee hive in an old tree and they have observed many native bees especially in the prairie area and around the pond. As we walk beside the stream we head down a path made with pine needles. 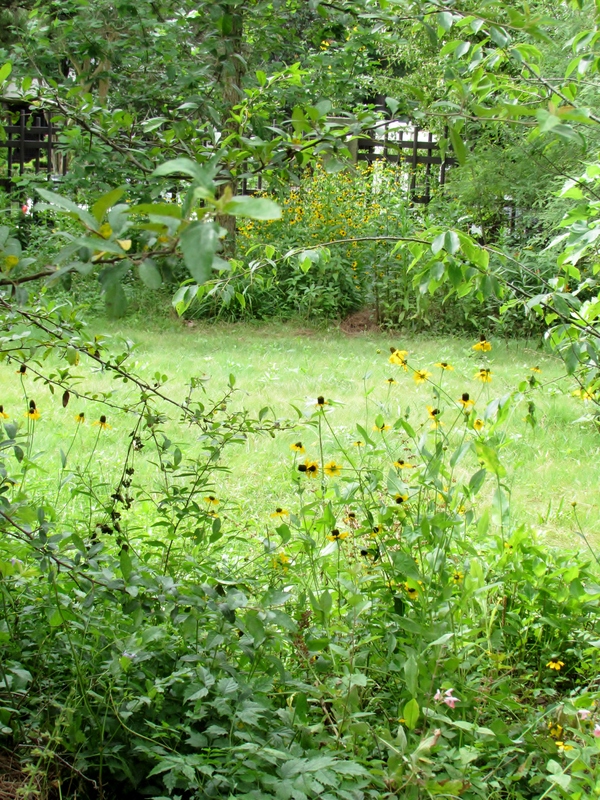 It leads to the less managed part of the garden. We were asked not to photograph the house but I wanted to show part of the pool so you can see that the home is entirely surrounded by nature. Another thing they battle is the effects of nearby “mosquito misting systems” that harm pollinators along with the mosquitoes. I wish I could have done a video of Brenda acting out a convulsion butterfly dying from the effects of chemicals. 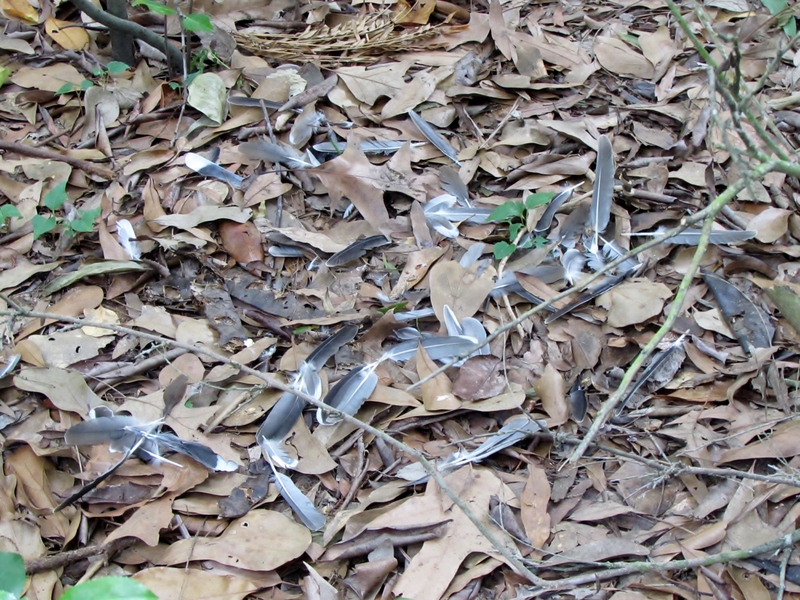 There is always natural death in a ecosystem like this hawk strike. A reminder that sacrifices are made to continue the cycle of life. This lead into a conversation about things like people dumping their exotic Asian Carp in the bayou when they decided they are done having a pond. And how invasive plants get introduced. 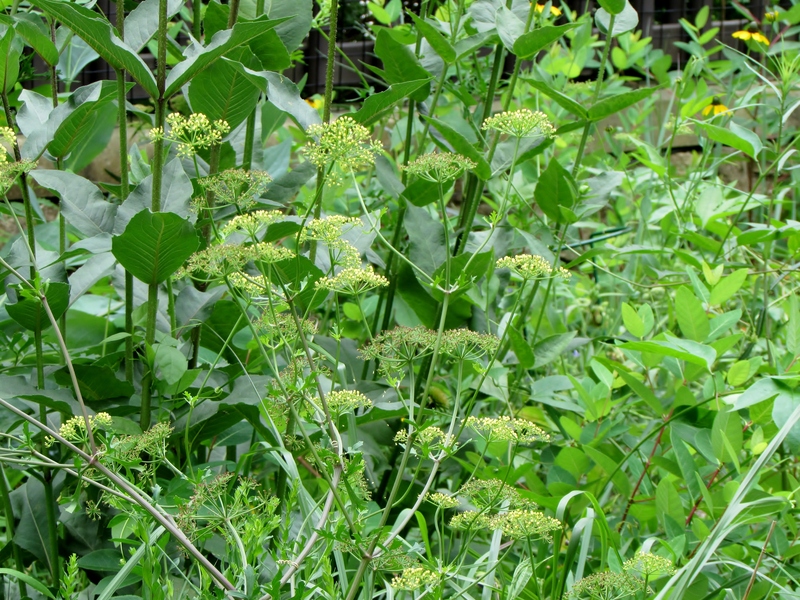 It can disrupt an ecosystem whether it is a disease, plant or animal. “But it’s so pretty!” are her 4 least favorite words. Natural beauty is at work here and it was an amazingly tranquil place. It was hard to remember we were surrounded by big mansions. These days they find they are planting less and have become editors keeping a level of order. And she reminded us “Critters don’t care if it is neat and clean.” They do battle things like cedar hawthorn rust. They have been using a soybean oil and sulfur spray on leaf outbreak occurs. “Everything you do has unintended consequences” say Brenda. For instance aphids which they sometimes control with a hard spray of water from the hose. But they don’t want to spray where they can’t see what damage they may be doing to other beneficial insects. Other times they let the chain of life do its thing. 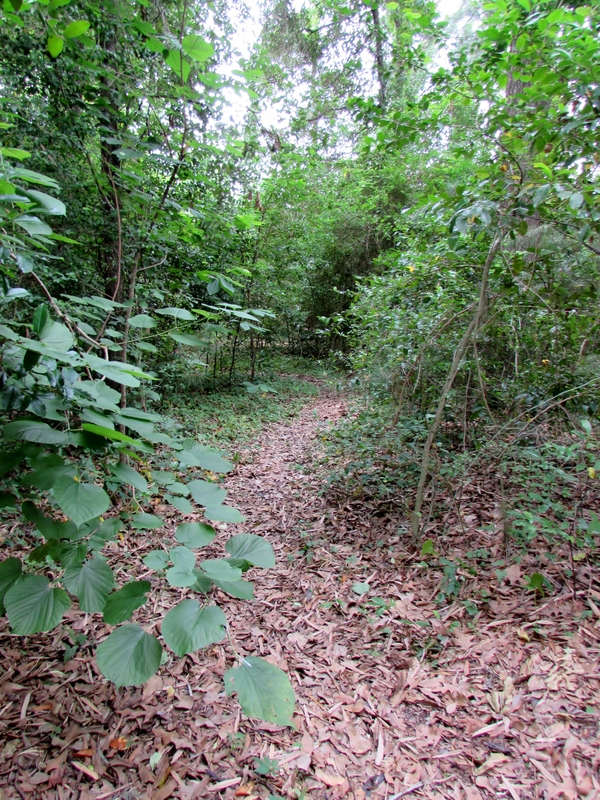 As we head into the wooded area with some oaks and pines we have to stay on the path because there is an undergrowth of Cherry laurels and other undergrowth. Cherry Laurels came in the sunny spots left when the property lost 27 trees including all the oldest “Granddaddy trees” as Brenda referred to them. She said you could see the swath of damage across the property with everything topped if not downed. They left the down trees to become nurse logs for seedling tree and homes for insects and other wildlife. They keep the Cherry Laurels in check because they choke out the light for other tree seedlings. 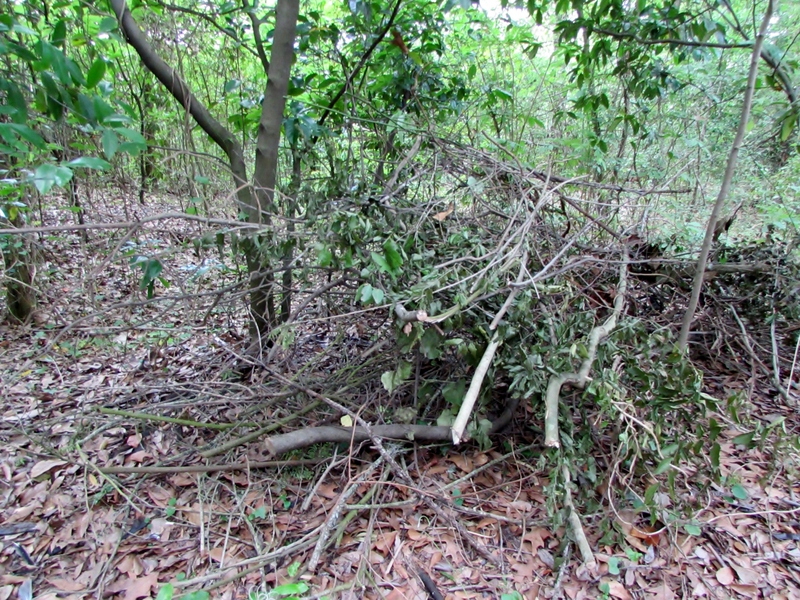 They also leave piles of brush for birds to hide in. There is a simple irrigation system that uses water from a 350 foot deep well. In the worst of the drought they did use supplemental water more regularly than they would have preferred. Not wanting to disturb tree roots not all the property is irrigated and the back is waters with rotors. They would do periodic deep watering for 4 or 5 hours. Coming back out to the small pocket prairie we stopped to identify more of the plants. 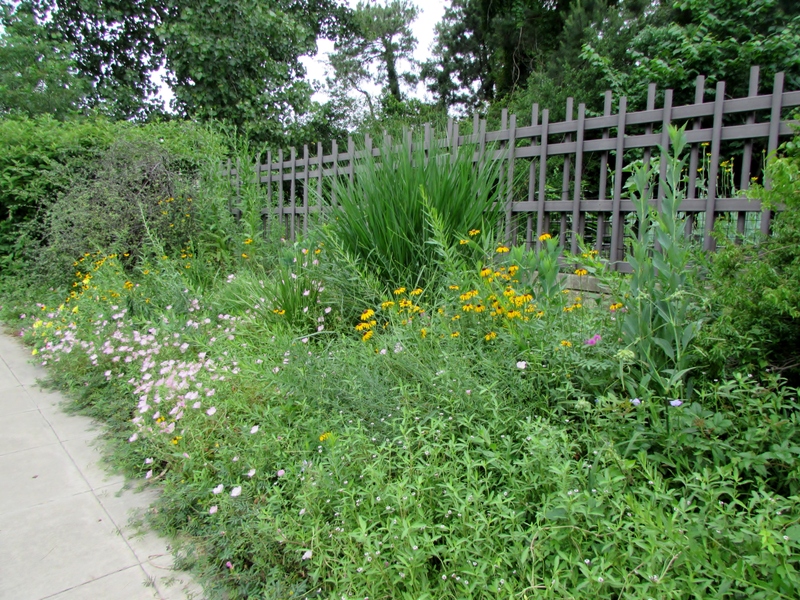 Here is an interesting article about the pocket prairie movement in Houston. Here are just a few that I got pictures of. This was an amazing tour and I wish I could do a one on one with Brenda; I had so many more questions. 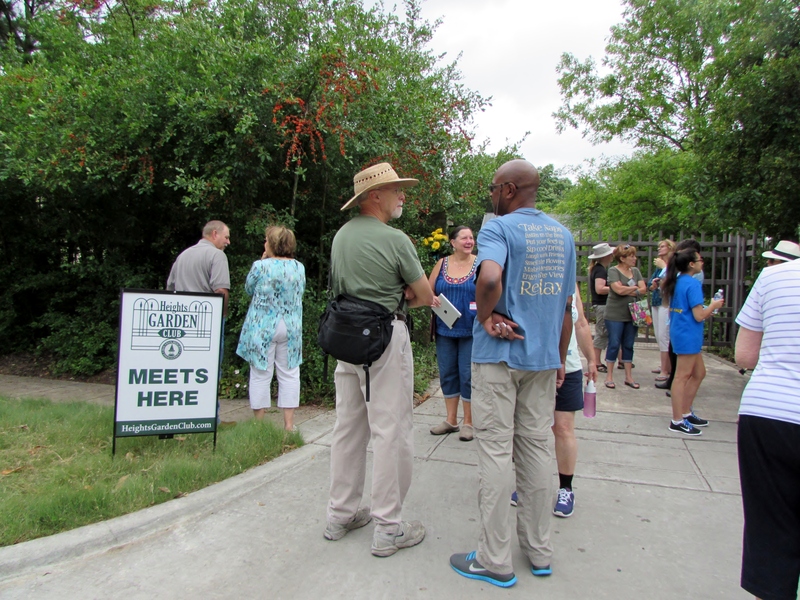 It was wonderful to have so many people join us and the growing interested in urban wildlife habitats. The one thing I was not as familiar with was the important of the prairie in Houston. 1) The Texas coast once held 6.5 million acres of prairies, thick with chest-high grass that supported enormous numbers of prairie chickens. Less than 1 percent of these acres remain. 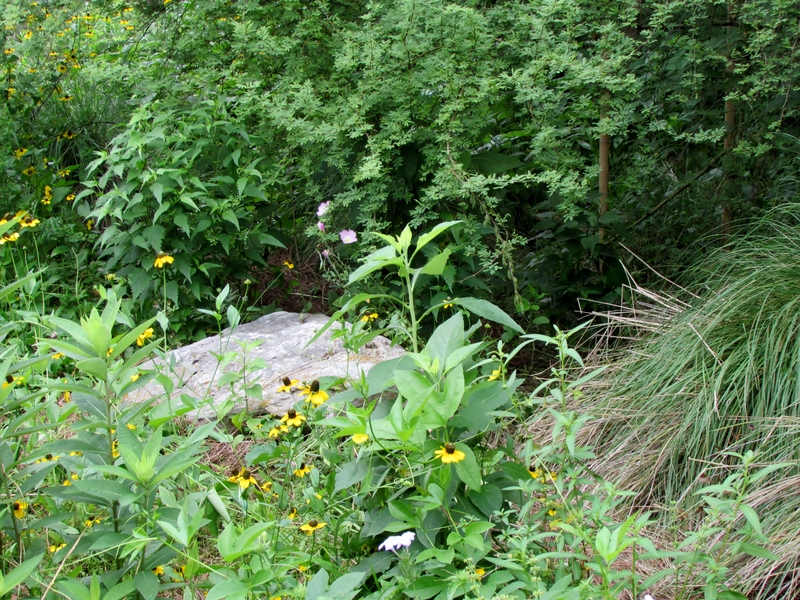 2) Of all of the ecosystems in the Houston Wilderness, prairies are the most endangered. They have been overgrazed, plowed and otherwise developed nearly out of existence. 3) Although from a distance they may look monotonous, up close prairies are a shining example of biodiversity with an intricate chain of relationships that naturalists are still working to understand. 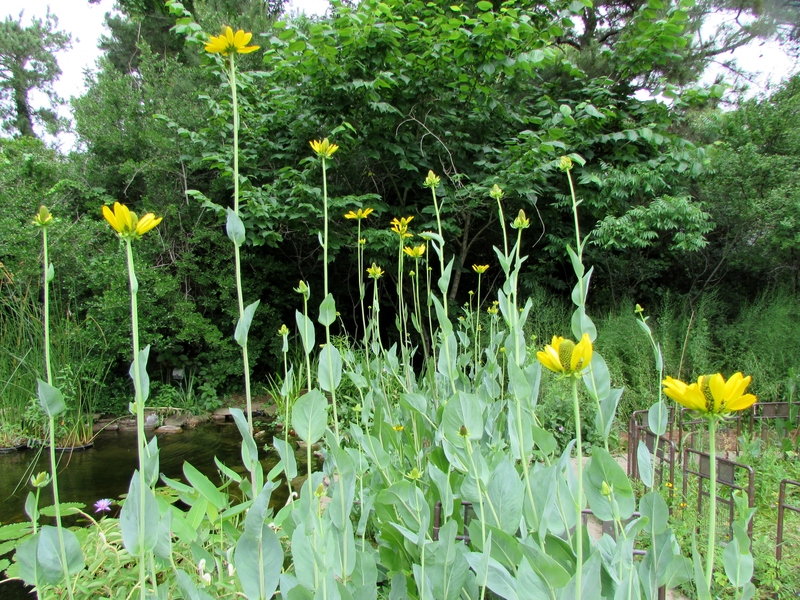 4) Plant life, like goldenrod, asters, dewberry vines and native grasses, and feet-thick clay soil help the prairies function as a retention pond – preventing flooding in the surrounding areas by helping water percolate down into the water table instead of running off. 5) Prairie grasses can be difficult to identify, even by grassland experts, because of their diversity: there can be 25 different kinds of the same grasses, differentiated only by the seeds of the flowers it produces. 6) The grasses aren’t the only species in the prairies, rare and beautiful birds all thrive in this habitat. The ground-dwelling Henslow’s sparrow and the secretive sedge wren can both be found in local prairie systems. 7) The Katy Prairie stretches from the Houston city limits west to Brookshire, northwest to Hempstead and southwest to the Brazos River. It encompasses over a thousand square miles. 8) Many animals call the coastal prairies home, including the burrowing owl, raccoon and seasonal residents, snow geese. 9) In the spring, prairies are known for their lively, shimmering fields where tiny flowers dot the landscape. 10) The Prairie Chicken, once abundant, is now perilously close to extinction – most birds are raised in captivity. The Attwater Prairie Chicken National Wildlife Refuge exists to help restore the breeding population of these native birds. I hope you enjoyed the tour! I leave you with one last photo of a precious little fuzzy flower whose name I did not get. 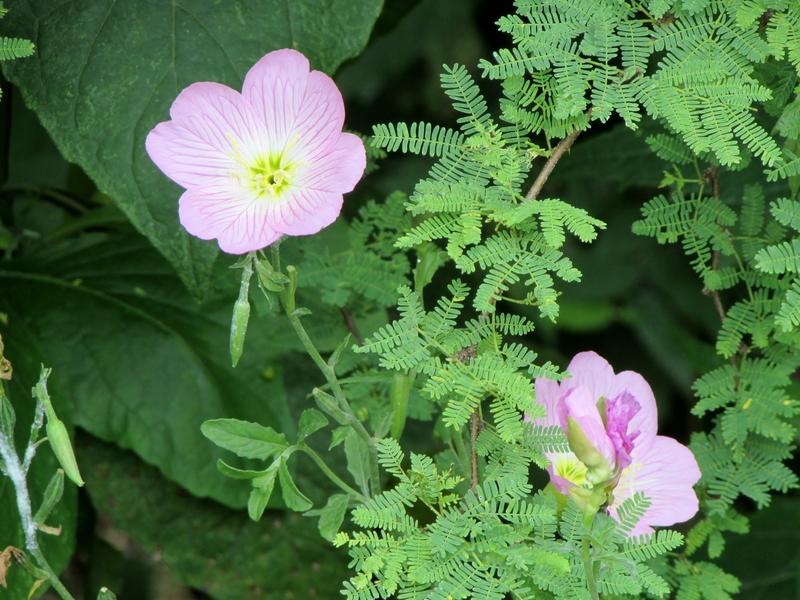 Happy Gardening…there is always room for natives! BW you would have enjoyed this garden! Texas is very interesting with all its different soils and microclimates. It is interesting to me to live where there are prairies since I grew up in the very dry climate of San Diego. Wow! Thanks so much for this. It is a beautiful space with a beautiful attitude. And so true about the whole micro-climate thing. Just because a plant is a native does not mean it is indigenous. And even then … things can get tricky. We had a sage blow in from who knows where and it just took off. I thought that meant it would be happy all over the property. I dug some up for transplanting and collected seed. It simply refused to grow in the new spots (one area was only 2 feet away!) It continues to thrive in the place it originally chose though. I have no idea what about that spot was perfect for it. A neat little mystery. 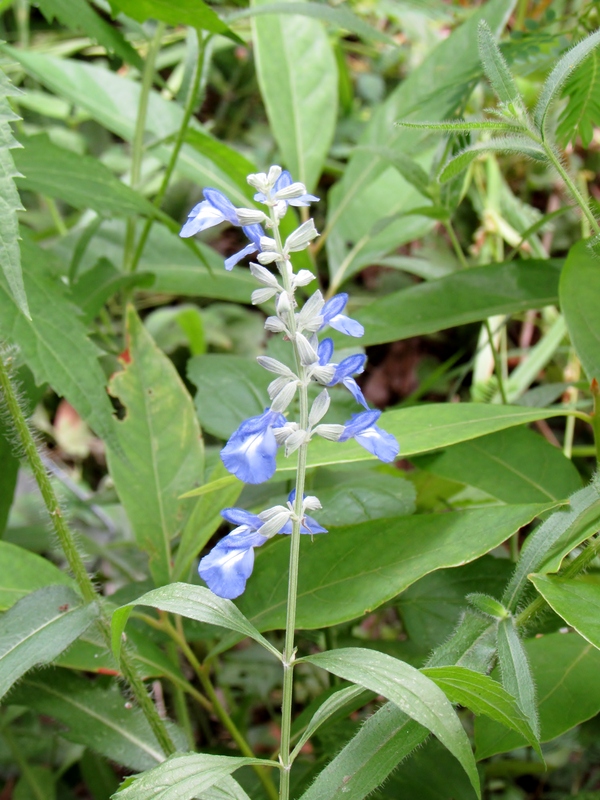 Prairie habitats are the most endangered of all. And what a shame. I think we can only guess at its original majesty and at all the little things inside that are gone forever. It was a special place and it does get very mixed reviews from the neighbors. 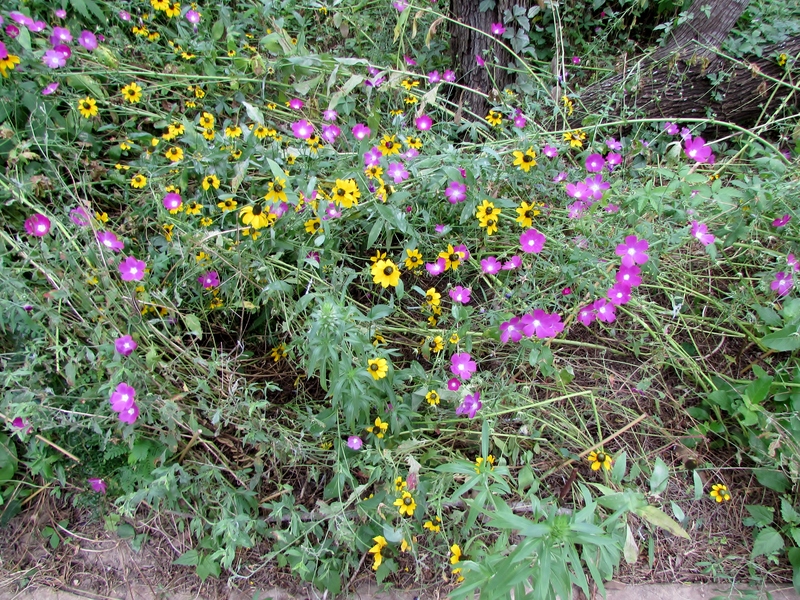 This SoCal girl came away with a new awareness for prairies. Now I wish I had more land. 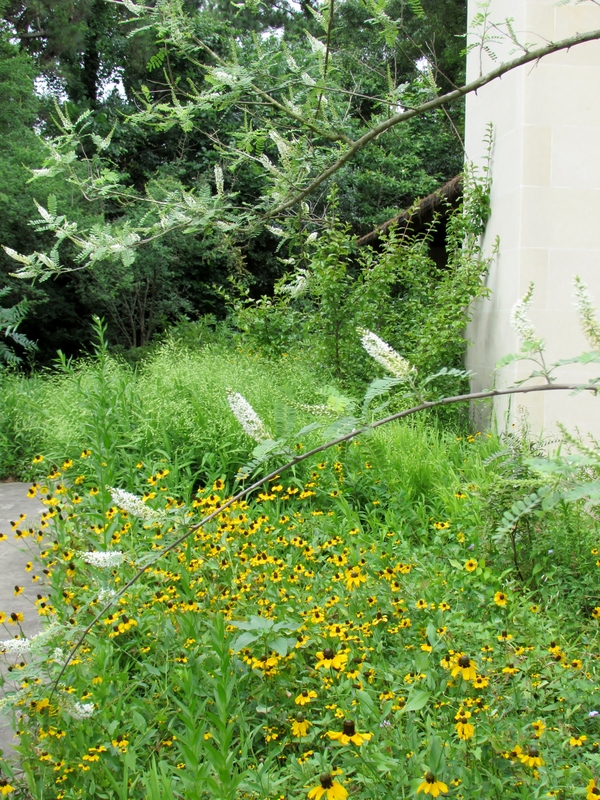 From the art to the native plants to the garden areas, this is a wonderful place to explore. You were lucky to have this tour. It really does not look like you were surrounded by mansions. Love that it has micro-climates too. Donna, it is a haven for the diverse wildlife we have here in Houston. I know, I read that in the post. For wildlife to have a place like that is wonderful. I like places that bow to nature. We need more places that do. Could you imagine this type of restoration / preservation / editing of natural systems done in every ecoregion, near many other cities? Their contrasts between buffalograss lawn and wilder plantings / woods worked really well. 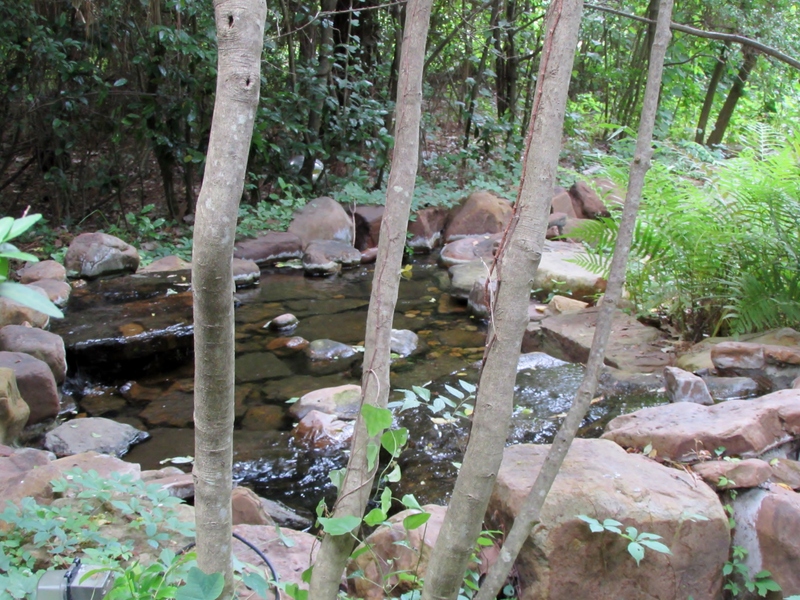 The stream does look realistic, down to each boulder…but something about that pool set into the tangle of woods is my favorite…not in El Paso anymore! 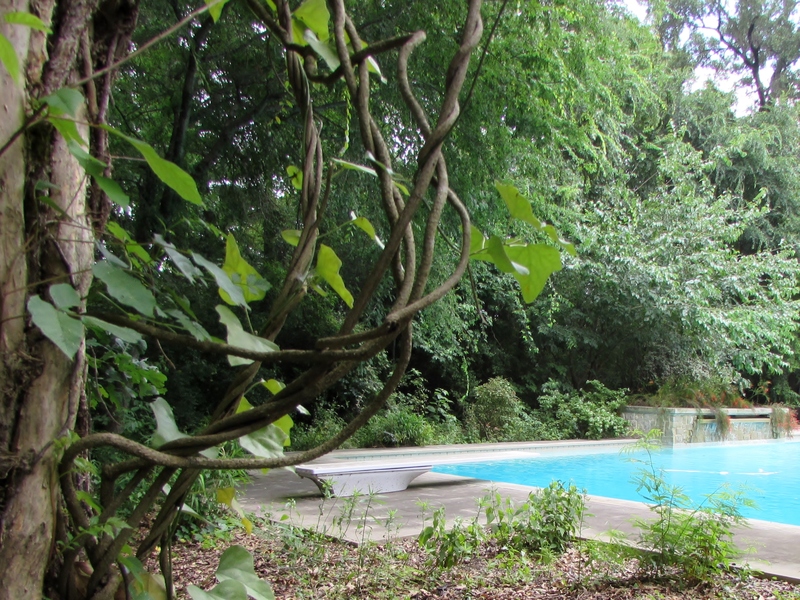 I like the contrast of the pool and the woods too! The subtle beauty was refreshing…I need to consider this going forward. What a cool garden. People always go on about the damage done to the environment but this shows that plenty of good can also come of appropriate stewardship of even the smaller pieces of property which we use to live on.